Men’s vintage clothing can be hard to find. It's worth the extra effort though, because men’s fashions don't change like women’s. Men typically wear their clothing until it is worn out. They don't keep their clothes forever like the ladies. This contributes to the scarcity of men’s vintage clothing.When you find a great vintage piece, chances are it hasn’t been worn a lot and has a lot of life left. This basic outfit “recipe” is true of any decade. Aim for a 50’s greaser, 60’s mad men and even a retro 80’s or 90’s style. This is still the basis for many men’s looks today. On top, you can’t go wrong with a button up shirt or t-shirt. A vintage shirt can definitely add some additional flair to your look with minimal additional effort. The choices are as endless as contemporary clothing - but you won’t see yourself coming and going. From band t shirts to Hawaiian button up shirts to a classic dress shirt, vintage shirts are a great choice for men. Vintage jackets are a simple way to incorporate vintage clothes into a man’s wardrobe. Whether you are after a sport coat from the 1940’s or 50’s or a vintage 80’s nylon jacket, a vintage topper can give your outfit that certain je ne sais quoi. Why not complete your outfit with men's vintage pants? Jeans or trousers, vintage pants are not all that different for men than their modern counterparts. With vintage, you can get better quality, lived in comfort, and higher durability for a fraction of the cost of new. If you choose to add retro style to your clothing, the style potential is limitless. You can wear vintage clothing head to toe or mix and match your vintage button ups, t shirts, and jackets. With modern pieces, it’s easy to look great with vintage clothing. At the Chicago Vintage Clothing and Jewelry Show, our vendors work tirelessly all year to bring you the most unique and hard to find quality vintage fashions. It includes retro men’s clothing from every era. Whether you are looking for a vintage band t-shirt from the 70’s, a 80’s jacket, or vintage 1950’s pants, be sure to stop at our show. It's March 8th and 9th, 2019. 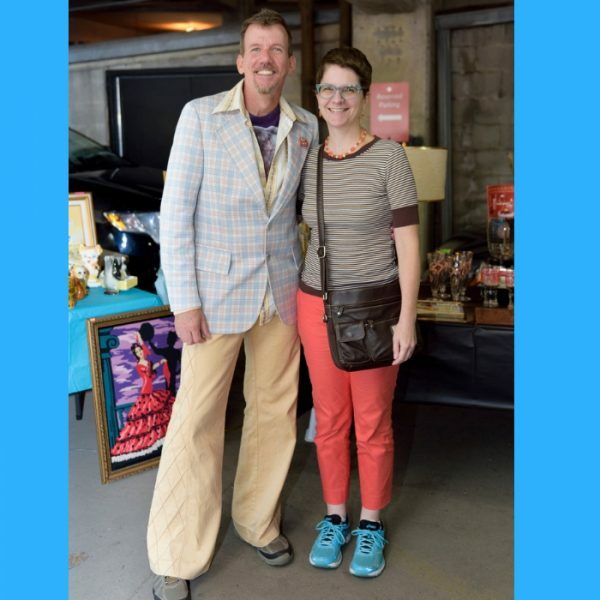 You'll find a one stop shopping event for vintage clothing for men AND women. Click HERE to find out all the details!